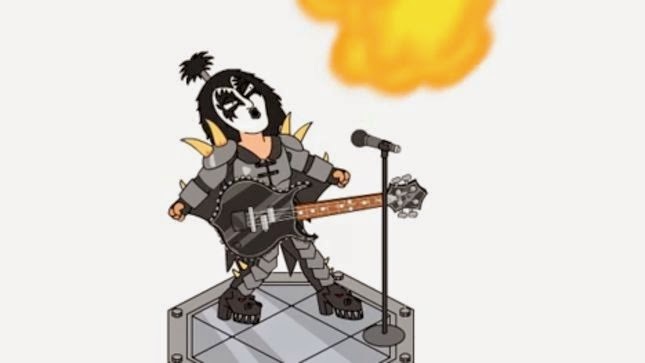 KISS members Paul Stanley and Gene Simmons have been added as playable characters to the Family Guy: Quest For Stuff game. The purpose of the game is to help Peter Griffin rebuild Quahog after it is left in ruins following his fight with the Giant Chicken. The game is now available on iOS and Android, and via Google Play. KISS – and references to the band - have been featured in several episodes of the FOX animated series. This week, KISS announced plans for KISS Kruise V.
The annual trip will sail from Miami to Jamaica next fall and will see KISS perform their breakthrough album, 1975’s “Alive!”, in its entirety during the indoor show.